After Sunday’s spectacular walk on a 2-inch steel cable across the Grand Canyon, aerialist Nik Wallenda earned a new title: daredevil. His exploits also suggest how important one’s balance is to daily activities – not just survival on the high-wire. 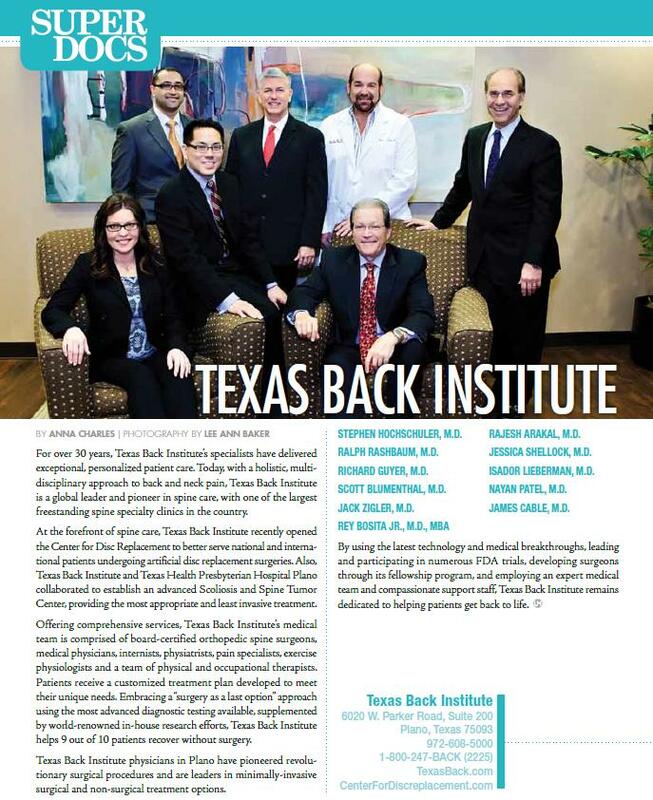 The physicians at Texas Back Institute have first-hand experience helping regular people correct the back pain which can cause a loss of balance, leading to potential injuries from a fall. More on that later, but first let’s briefly review one of the most dramatic walks in history! Representing the next generation of the famous “Flying Wallendas” family, known for its daring and sometimes deadly stunts on the high wire, Nik Wallenda completed a tightrope walk that took him a quarter mile over the Little Colorado River Gorge in northeastern Arizona. He walked 1,500 feet above the river on the Navajo Nation near the Grand Canyon with no net or safety vest. 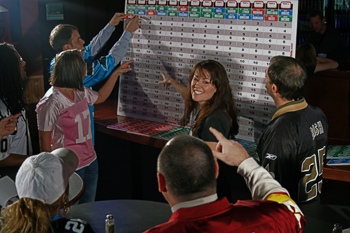 This feat was broadcast live on the Discovery Channel and had viewers around the world griping the arms of their chairs for more than 22-minutes. The life-or-death drama was further enhanced by the fact that viewers could hear Wallenda speaking to himself from the mobile microphone attached to the aerialist and see what he was seeing from a camera placed on the aerialist. Throughout the spectacle, he was heard praying and attempting to calm himself as the 40-miles per hour winds above the Grand Canyon buffeted his taunt cable. After the stunt was completed, Wallenda was asked by the media to recount the things that were going on in his mind during his walk. He noted at one point during the walk he “knelt down and I thought of my great-grandfather and that everything I do is to honor him,” Wallenda said. “It took my mind off all this movement underneath me … and I was able to focus on him and regain composure.” Nik’s great-grandfather, Karl slipped and fell to his death from a high wire in Puerto Rico in 1978 when he was 73 years old. Here’s is a brief video clip, courtesy of the Discovery Channel of Wallenda’s amazing walk across the Grand Canyon. Tightrope walkers such as Nik Wallenda have an uncanny sense of balance. How else could he and the rest of the Flying Wallendas successfully walk more than 1,400 feet on a steel cable no thicker than 2-inches? Clearly, most people don’t have this superhuman sense of balance. In fact, many people struggle to keep their balance when walking on a perfectly flat surface. Why? Sometimes this is due to an inner-ear injury, but often this has to do with the effects of back pain. One in three adults age 65 and older falls each year. Of those who fall, 20% to 30% suffer moderate to severe injuries that make it hard for them to get around or live independently, and increase their risk of early death. In 2009, emergency departments treated 2.4 million nonfatal fall injuries among older adults; more than 662,000 of these patients had to be hospitalized. How Does Back Pain Affect Balance? As these healthcare costs suggest, this lack of balance is a problem which is both painful and expensive. 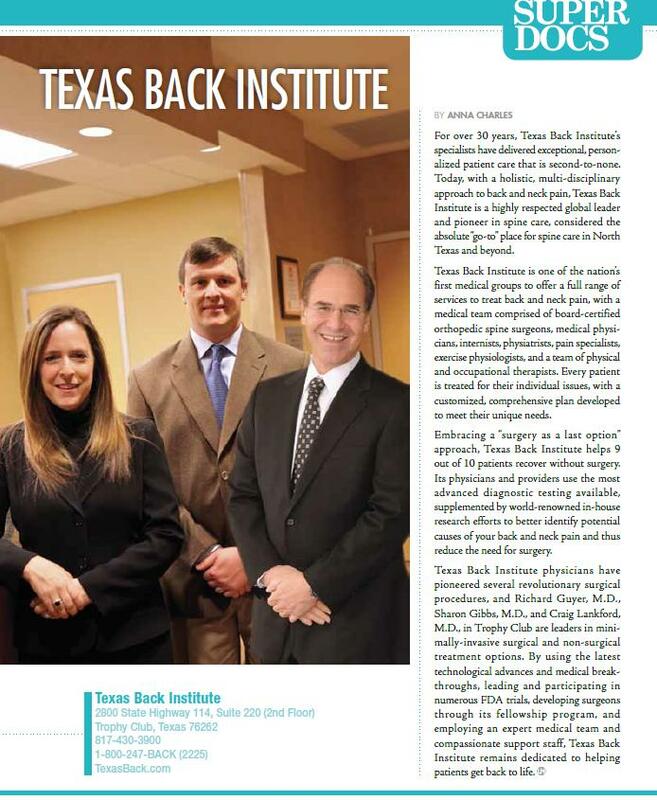 We talked about balance and how it is affected by back pain with Texas Back Institute spine surgeon, Dr. Jessica Shellock. Can back pain cause a loss of balance? Absolutely. When someone suffers from back pain, there is usually some amount of muscular spasm or imbalance that can lead to an alteration in their overall spinal alignment. That’s going to present many times as a change in posture, such as the patient leaning to one side or even stooping forward. Sometimes on a radiograph we can see a subtle curvature of the spine that’s not scoliosis but actually a musculature imbalance because of pain. When we are unable to walk effectively then our balance will be hampered as well. Does this lack of balance due to chronic back pain affect only older people, or do younger people have this problem as well? Anybody in pain because of their low back, whether young or old, can be affected. However, one issue that preferentially affects the older population is degenerative changes in the neck that can result in compression on the spinal cord. This can also cause balance problems. 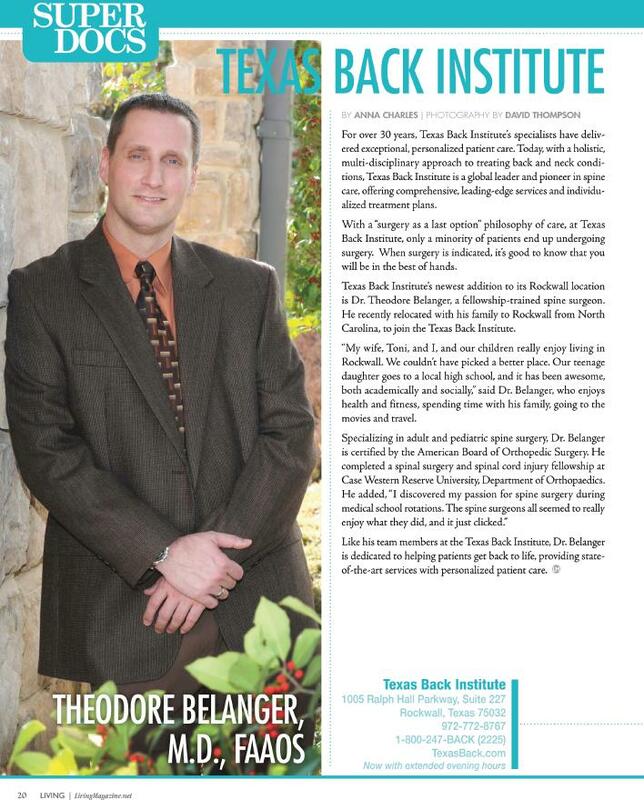 Here’s a quick video synopsis of Dr. Shellock’s thoughts on back pain and its effect on balance. What are the back injuries or diseases that can cause a loss in balance? Anything that can cause back pain, such as a herniated disc, pinched nerve, muscular strain or ligamentous sprain in the back can result in a loss of balance. Degenerative changes in the neck or mid-back that create spinal stenosis, or pressure on the spinal cord, can result in a loss of balance. 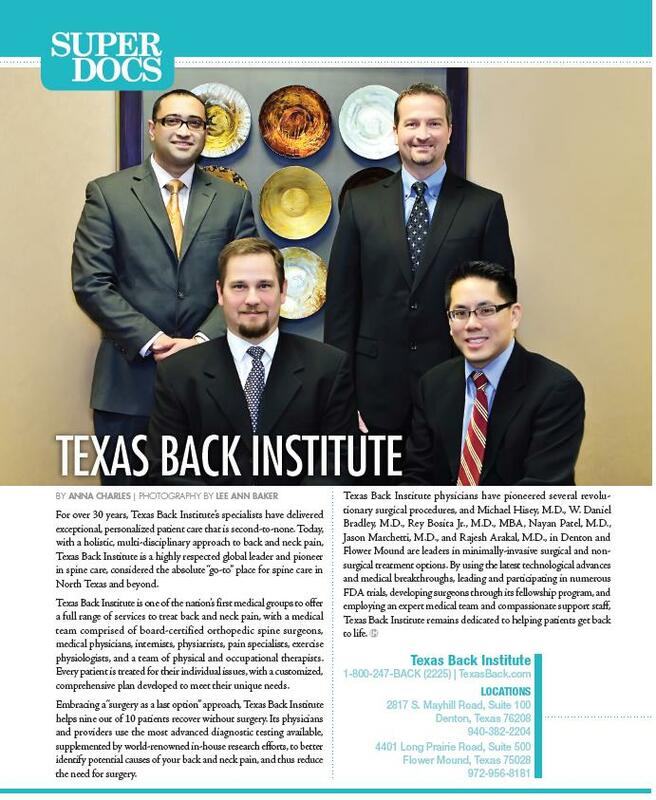 How can these back problems, and the concurrent loss of balance, be corrected by surgery or therapy? Understanding the source of the pain is key. For example, if the cause of the limp is due to muscular pain or a ligamentous injury, physical therapy to address the problem and restore balance may be very successful. Alternatively, if compression of the spinal cord is causing the problem, we can take surgical actions to relieve this compression. In most cases, physical therapy can correct the root causes for muscular pain and misalignment of spine and also help many patients with pain from a herniated disc. Surgery is always the last resort in patients who’ve failed to respond to these more conservative measures. 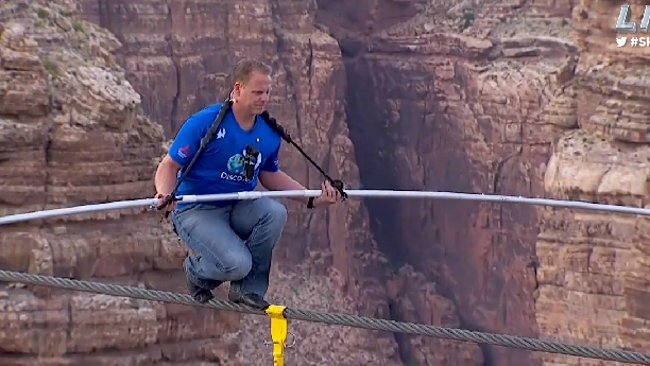 Walking across the Grand Canyon on a 2-inch steel cable is not something anyone – except maybe another Flying Wallenda – will do. The amazing sense of balance Nik Wallenda showed was no doubt learned at an early age and could even be genetically determined. Most of us just want to be able to walk down a flight of stairs without taking a tumble. 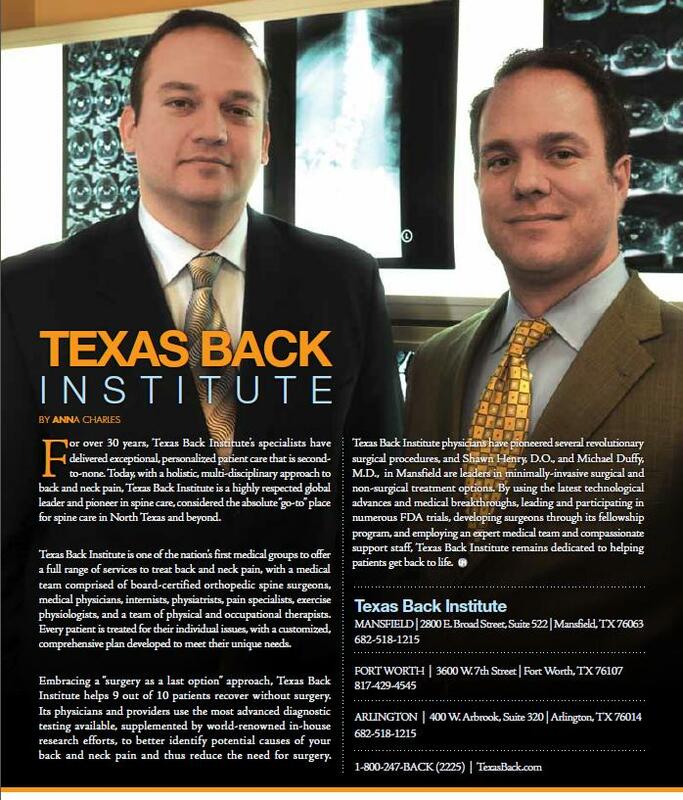 If back pain is keeping you from maintaining your balance, it could be as simple as working on muscular strength with the specialists at Texas Back Institute’s physical therapy department. If your condition is more serious, state-of-the-art diagnosis and appropriate therapy from our spine specialists can have you back on the tight-wire of life sooner than you think! Click your high heels less often. Yes, high heels make your legs look great, but they also unnaturally position your heels above your toes. This throws your entire body out of alignment. Over a long period of time, over-wearing high heels can cause severe low back and leg pain. Whether you’re traveling, at work or on the way to a cocktail party, wear comfortable flats, then make the switcheroo to heels when the time comes for the high-heel look. Watch your cals. Try to shed a few pounds for the good of your back and overall health. Every pound you gain can add additional stress to the ligaments and muscles in your back. Extra weight in the tummy area pulls the pelvis forward and strains the lower back, which can create low back pain. Additionally, if you become quickly tired or have trouble breathing during exercise, it becomes harder for you to get the exercise you need that helps keep the pounds off. And if you’re carrying extra weight and wear high heels, you’ll greatly increase the odds for developing low back pain. Find out if osteoporosis runs in your family: You’re young and in great shape, so why should you worry about osteoporosis now? It is estimated that about 75% of an individual’s peak bone mass is influenced by genetics. If you are genetically predisposed to osteoporosis, tell you doctor! Also know that exercise, diet and regular testing are critically important for you to build up bone mass while you’re young and more able to do so. Young women should perform 20 to 30 minutes of aerobic exercise 3 to 4 times weekly to increase bone mass. Bask in the glow of exercise while you’re pregnant. Pregnancy is certainly one of the leading causes of back pain in women. If you’re pregnant, you should do stretching and strengthening exercises for your back before and during your pregnancy – always under the supervision of your doctor, of course. And if you do experience pain, don’t assume rest is the answer or it will be gone after the baby comes. Appropriate treatment can help you receive significant back pain relief during the pregnancy and lessen the chance of having chronic back pain in the lower back after the pregnancy. Love your big bag but don’t use it like a suitcase. If your purse or satchel weighs more than 10% of your body weight, it’s too heavy – ask yourself, do I really need all of this stuff? You also need to carry big bags correctly. We recommend you select a purse or briefcase with a long strap that allows you to carry it across your chest. And while we on the topic of big bags, shopaholics shouldn’t try to carry the day’s haul all at once – you won’t miss a sale if you deposit a bag on two in your car and return back to the hunt. 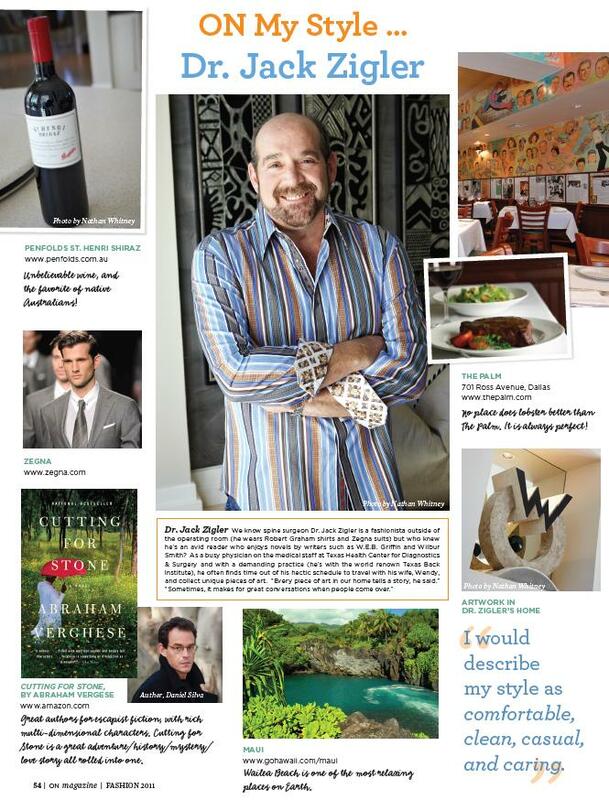 This past week Dr. Zigler did a photo shoot at his house for ON Magazine. 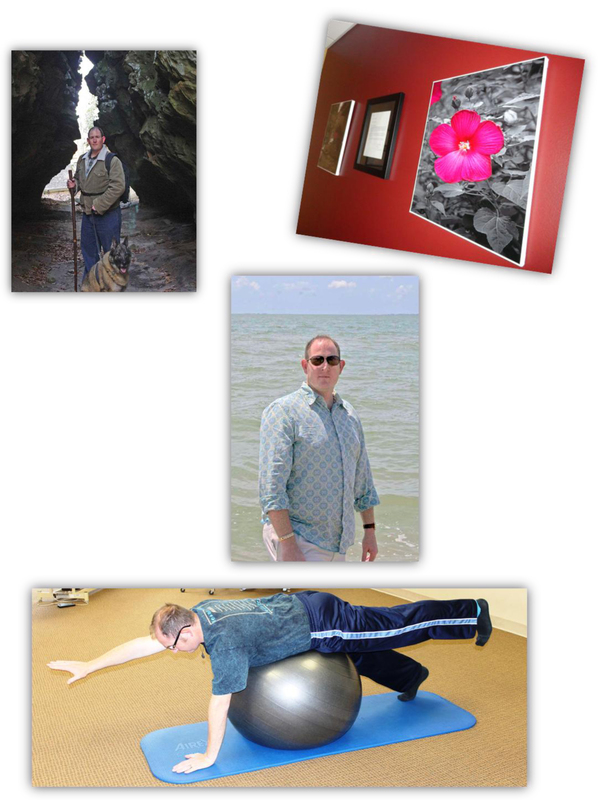 The secton is called “ON my style” and it features things that showcase Dr. Zigler’s style. We think the spread turned out AWESOME!!!! Dr. Shellock also did a spread like this in 2009. 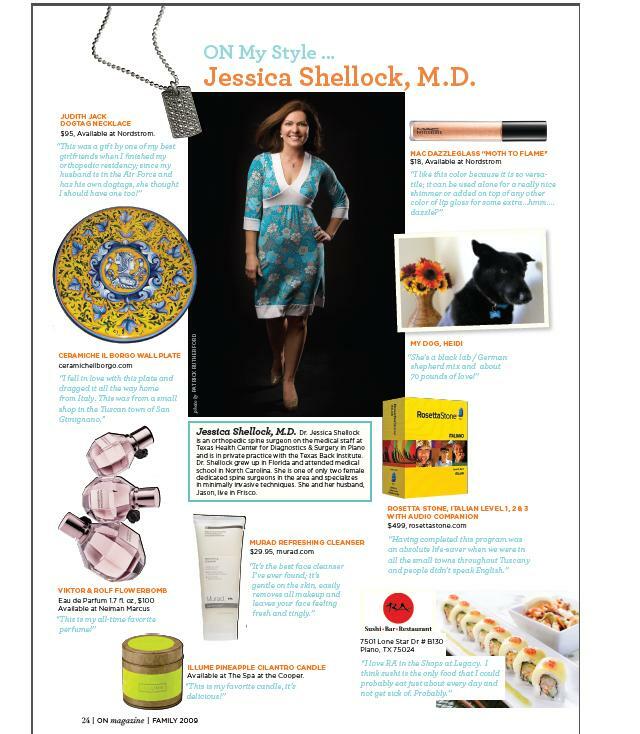 It so fun getting to know more about the doctors personal interests and style. What things help demonstrate your style and personality?